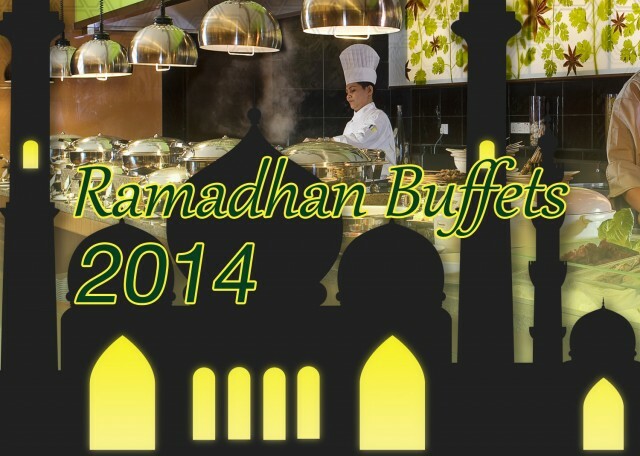 It’s been a while since the Japanese craze took hold of Malaysia, well, Klang Valley, at least, and it’s gotten so popular that there are even fine dining Japanese buffets now! We went around town looking for great Japanese buffets to share with all of you—from affordable ones to ritzy, upscale places. 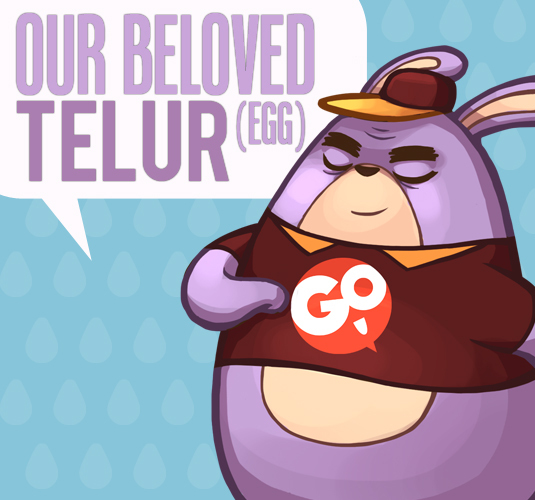 Take a look at what we’ve found! 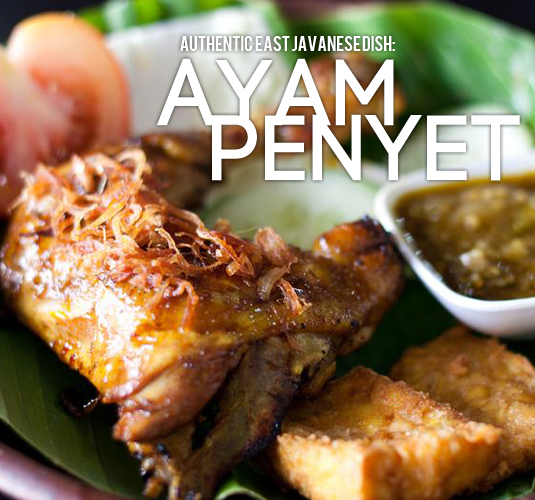 Their buffet consists of a huge variety of Japanese and local/Western dishes, from sashimi to sushi to tempura and fresh seafood, and even Malaysian favourites such as wanton and satay! 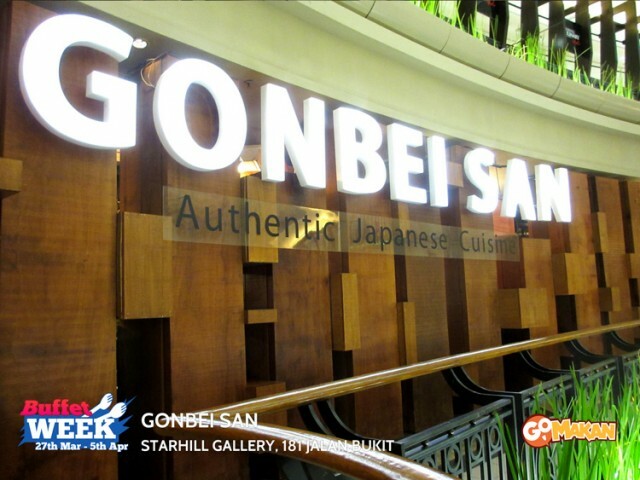 Right beside opposite Jogoya, you’ll find Gonbei San, another Japanese restaurant which comes equipped with teppanyaki grills. 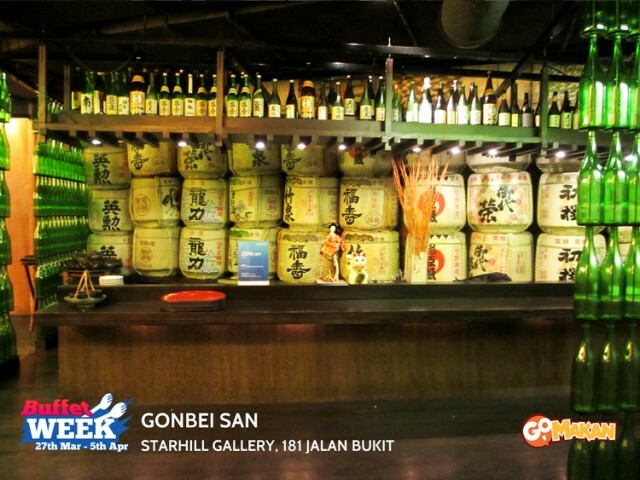 The bar, with a selection of Japanese beer. 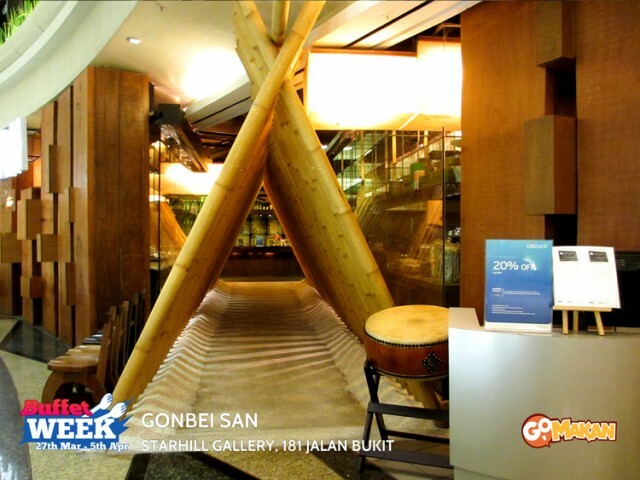 Gonbei San serves buffet during lunch daily, from 12pm to 3pm. 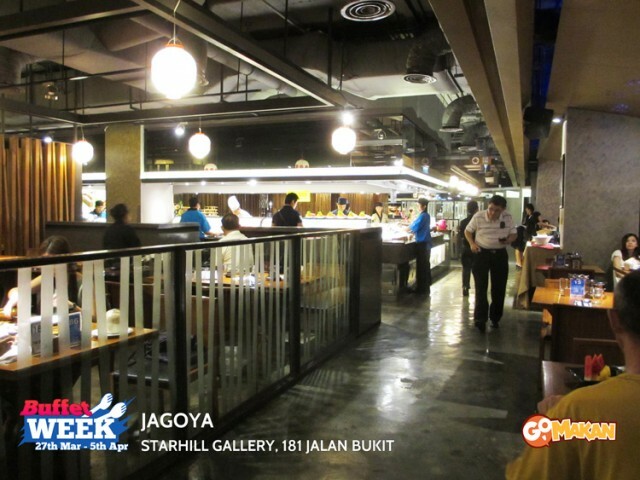 They serve an amazing variety of food, especially raw seafood like sashimi, oysters, and scallop. There’s also yakitori and various grilled and fried dishes! Those with a sweet tooth would definitely enjoy their selection of desserts as well. 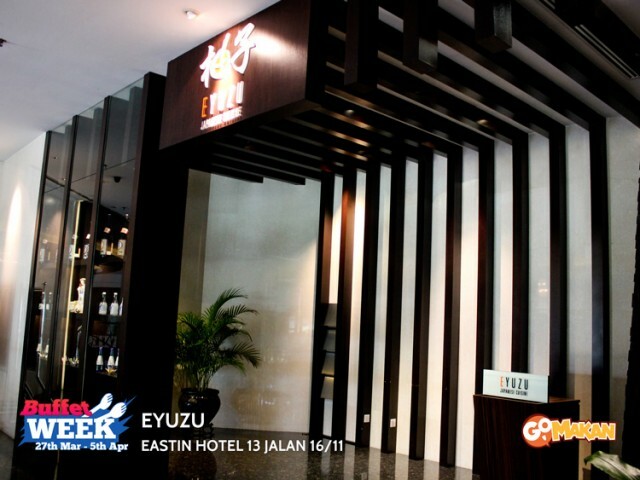 Eyuzu serves only Japanese cuisine, especially favourites such as sashimi, tempura, grilled eel, and much more. 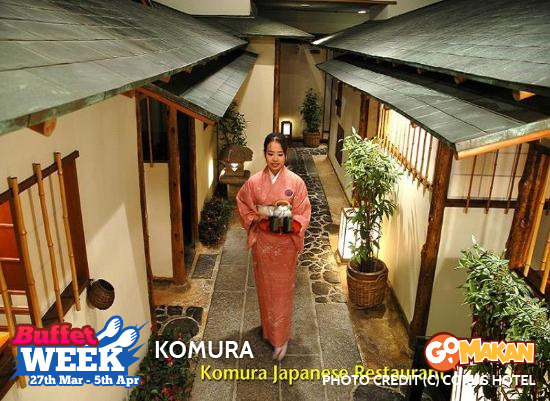 The décor and ambience at Komura is decidedly Japanese, with its bamboo motifs all around, including the window shades! 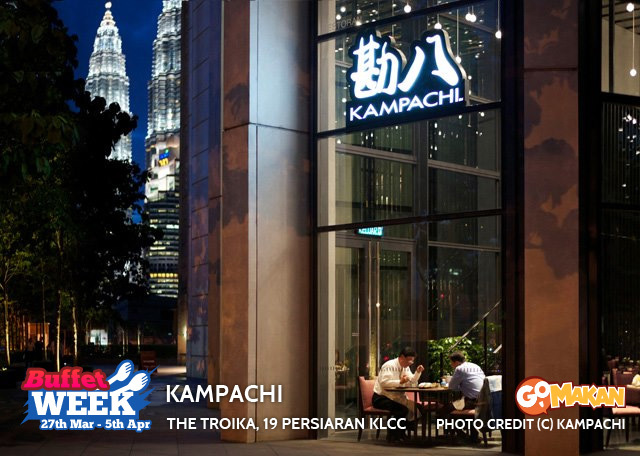 Address: Lot G-3, The Troika, 19 Persiaran KLCC, 50450 Kuala Lumpur. **note: children is from 5-10 years old. If you enjoy great views, Kampachi offers that as well! There’s beautiful greenery planted right outside the restaurant, so you can dine and enjoy the views at the same time.